Sanchez, who was trained as a dietitian in Nevada and goes by the nickname “Memo,” is not your average dual-degree student. He’s published five original articles in peer-reviewed journals since 2011, he co-authored a book chapter in 2012, and he regularly updates his blog, Memo the Physician Assistant (www.memothepa.com), where he chronicles his experiences and challenges for the benefit of aspiring PA students. Earlier this year, Sanchez’s winning entry in the New England Journal of Medicine’s (NEJM’s) 200th anniversary essay contest earned him the title of NEJM Scholar and participation in the prestigious “Dialogues in Medicine” symposium at Harvard University. His essay, titled “A Letter from the Year 2022,” was a clever response to the question of how we can harness technology to improve health. Sanchez’s letter to himself from the future warns of pan-resistant pathogens that could have been prevented with the use of social media to promote new antimicrobial development and reduce antibiotic misuse. 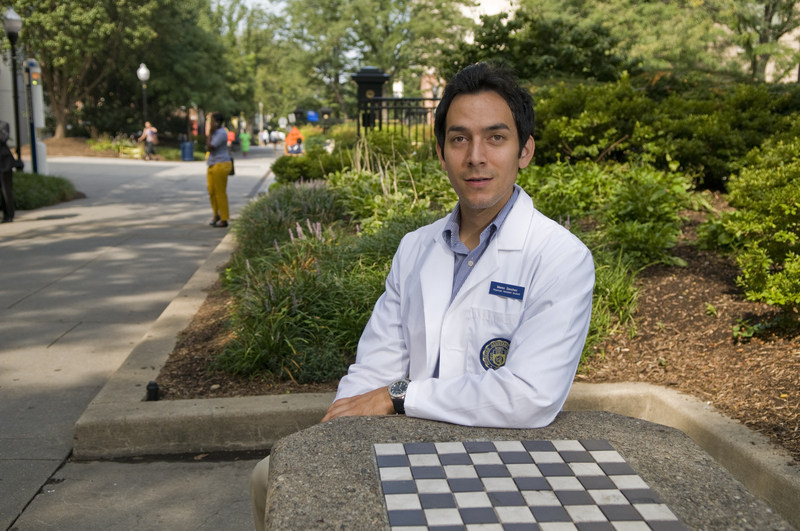 Even more than his accolades and ambitions, Sanchez’s intellectual curiosity is what makes him special, says James F. Cawley, M.P.H., PA-C, professor of PA studies at SMHS, and professor and vice chair of the Department of Prevention and Community Health at the GW School of Public Health and Health Sciences. “Memo is curious about a lot of things in medicine, but also a lot of things in general. He’s going to have quite an interesting, successful career,” Cawley says. It sounds a bit like the way he approaches his academic and clinical training. And so far, it’s working for him.